Lamorous Training and Supply provides Eyebrow Microblading and Eyelash Extension courses both in classroom and one on one settings. We also provide a wide range of high quality and wholesale priced supplies for Lash Extension, Cosmetic Tattooing and Microblading Technicians locally in Saskatoon, Saskatchewan. 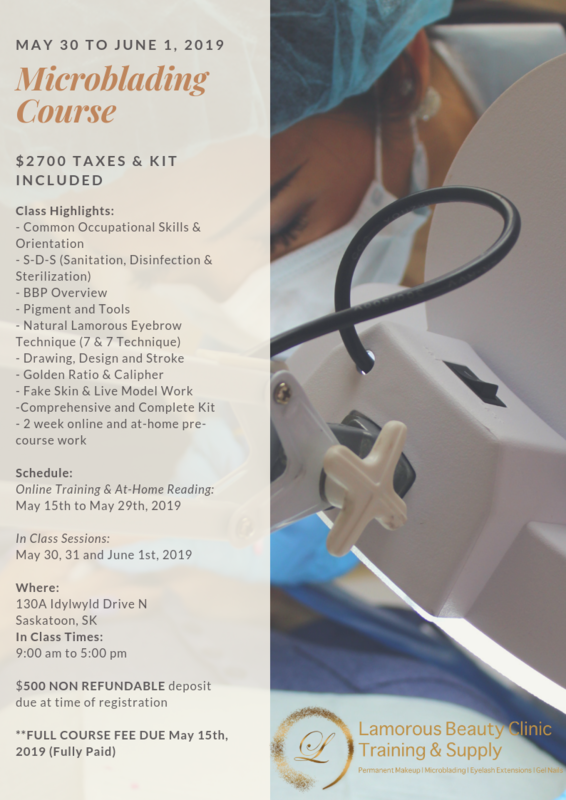 Located in downtown Saskatoon with plenty of free parking, Lamorous Training and Supply is your source for high quality PMU, Cosmetic Tattooing and Microblading supplies as well as your source for Lash and Microblading Training. 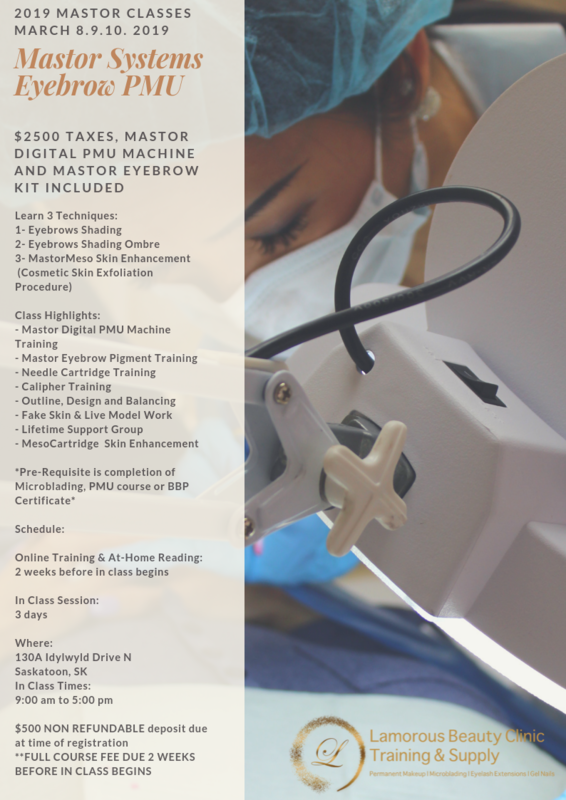 Want to become a Microblading Artist and start a new and rewarding career in Cosmetic Tattooing? 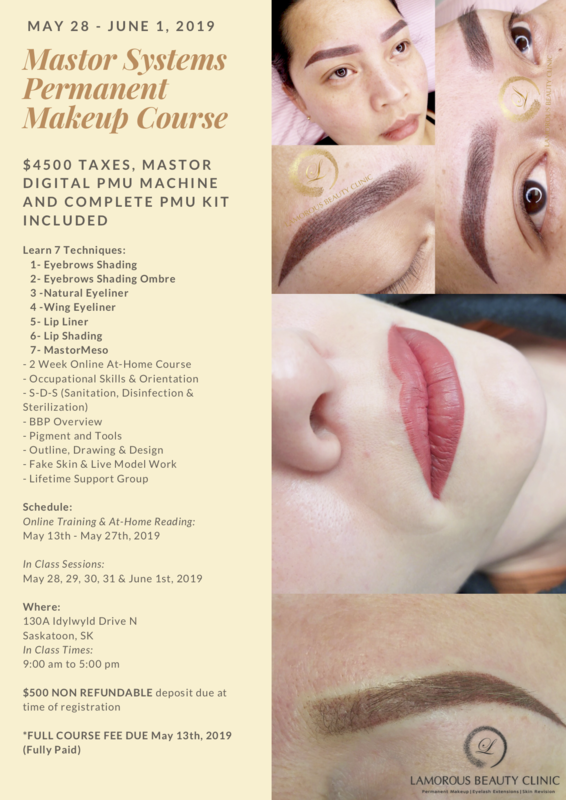 Our comprehensive courses focus on client and technician safety along with intensive training on stroke and drawing the perfect eyebrows using the Natural Lamorous Eyebrow Technique. Head Instructor Yenny Lam is a Masterclass Trained Microblading Artist by the Ksenija Karabegovic Academy and Certified by Biotouch Canada as a Permanent Makeup Technician. As a Certified Pro Artist with the Microblading and PMU World Association and a Saskatchewan Health Region Approved and Inspected Facility we welcome you to stop in anytime to discuss how you can become an Natural Lamorous Eyebrow Artist! 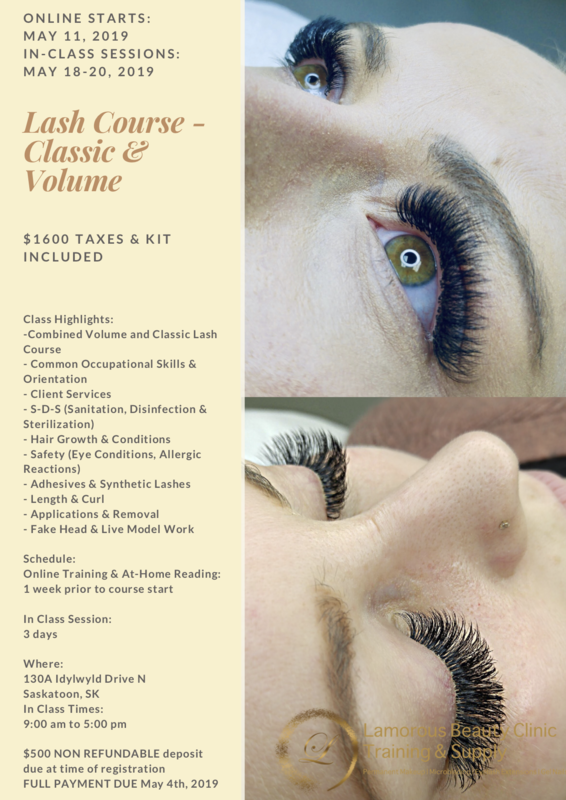 Want to become an Eyelash Technician? Start a new and rewarding career or add Lamorous Lashes to your current list of services? 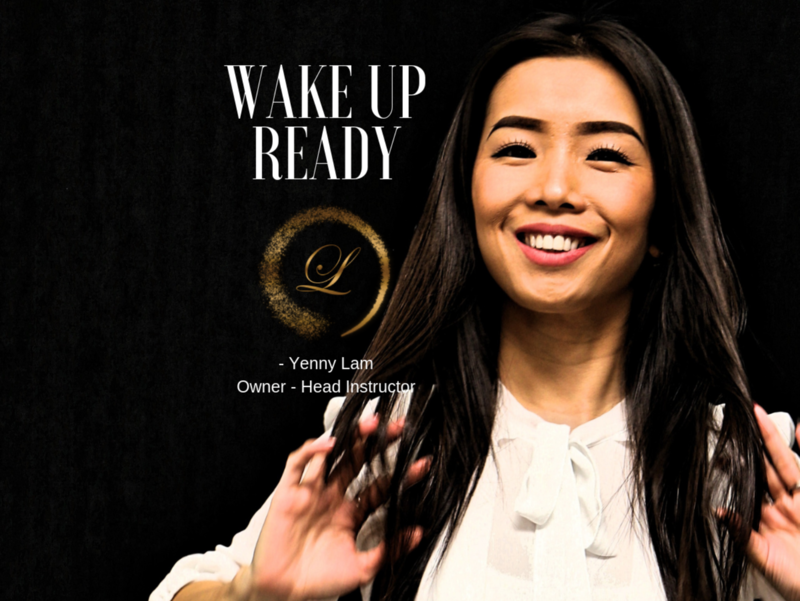 Head Instructor Yenny Lam has owned and operated Yenny’s Home Spa and now Lamorous Beauty Clinic for almost a decade in Saskatoon, Saskatchewan. With over 10+ years of Aesthetic experience, training from Alberta Beauty Systems and thousands of hours of procedures on a countless number of happy clients Yenny is excited to take the next step in developing the next generation of Lash Technicians. Learn to apply lashes that last longer, look fuller and natural customized to your clients face. After many years of experience Yenny has developed Lamorous Lashes- a technique that many clients keep coming back for and now you can learn to do. If you are interested in becoming a Lamorous Lash Technician and join a network of highly trained and elite group of Lash tech’s then contact us today about our class schedules.